It was only a few days before Basing house that a change of plans made most of the weekend free so I could attend. It was a modest event and not many of our group were going but really that should be MORE reason to go. I also try to live by the idea of 'If in doubt, go!' In a YOLO sort of way, although that phrase had always confused me when I think about it. If you only live once shouldn't you actually be really careful? 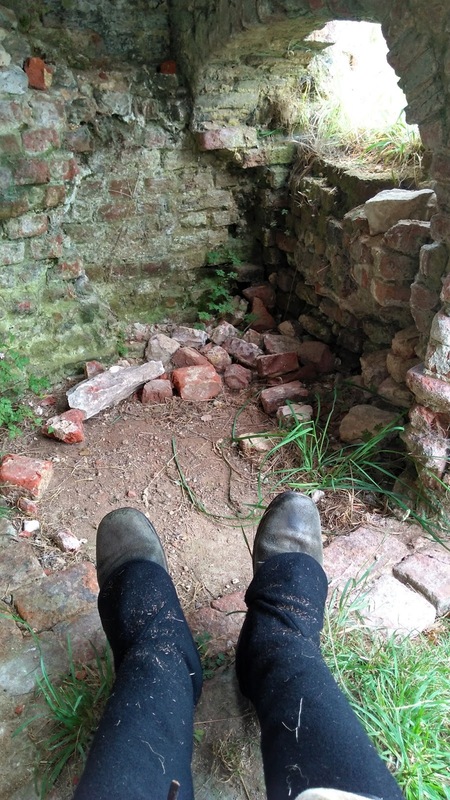 Basing house was once a magnificent complex of courtly buildings that started as a Roman site, then Norman, and reached a it's height of splendour during the Tudor period but was beseiged and raised to the ground in the Civil war. 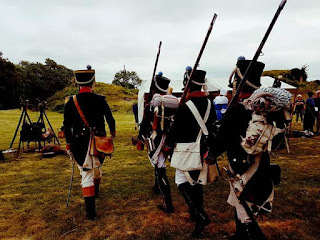 There is a civil war reenactment of this most years but this weekend was Jane Austen weekend to mark 200 years since her death, with dance classes, book stalls, and some regency era soldiers of course, and two donkeys. One of the great things about smaller events is you get to meet everyone you are working with.. some of the people there I have probably been at a dozen events with but if they are in the British camp with two hundred others and you won't know them from Tommy Atkins, but two days in the same tentline and a social evening and you'll know them well enough to say hello and catch up at other events. After an inundation of breakfast offers on Sunday I went for a stroll, more people turned up, public and a couple more troops. Investigated the giant Lego model of Basing house in its prime. Some of us then walked along the river to spread the word, it would have been rude to address the punters in the pub garden without having a drink of course. Hopefully a few decided to drop in post Sunday lunch. 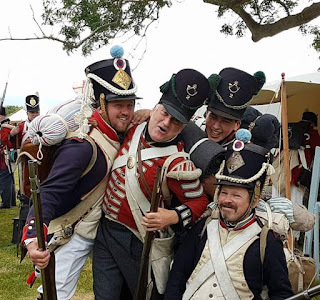 We pushed on Sunday for a skirmish instead of another display and drummed up five French (two usually Brits but one had a French voltigeurs kit for the odd outing).. and an armed prison escape was on. Richard (who was to change sides) came into the obscure ruins to bring our soup and was overpowered and shot (out of sight) we then spread out around the enteance and bridge and opened fire on the surprised British in camp. Drums announced a patrol of Footguards would soon be joining us. A couple of redcoats were down but numbers would soon tell. Despite a new flint I started to get misfires although you knew when they went off, big cartridges! Quite by surprise the two British cavalry charged into the fray and I abandoned my musket to draw my sabre on them, seldom in life do you get to cross swords with men swirling around you on big horses.. and aaah, I went down. 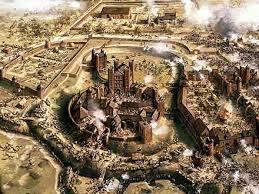 It was a good scenario for the numbers we had and a nice bit of variety from the usual more formal battles. Someone asked me if I wasn't worried about having two big horses swirling round me, sometimes horse can make you uneasy if they are skittish and you are not sure if they might try and pass straight through the spot you are standing on.. but you feel a certain confidence when you know both the riders and steeds know what they are about. 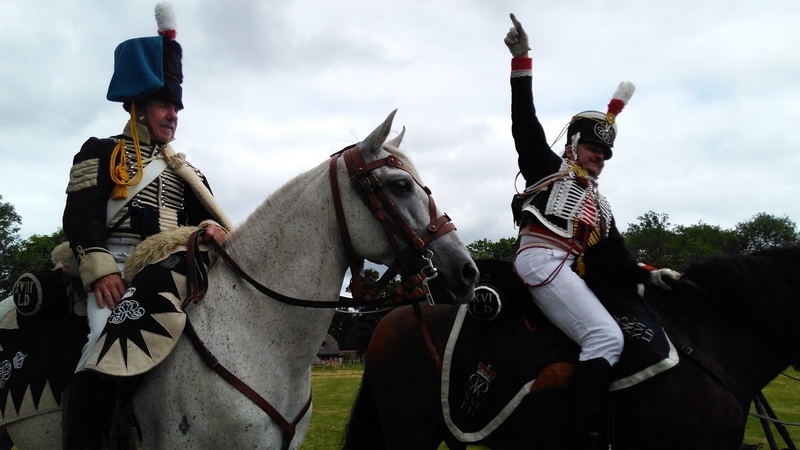 In the UK most cavalry have their own horses but occasionally, and more so on the continent, people just hire a horse for an event and naturally it is dismayed to find itself in a field full of musketry, smoke and cannons. I think all the accidents I've seen have been at bigger continental events. All in all a pleasant little event, possibly bigger next time if the organisers were happy although as mentioned weather and advertising didn't do it any favours. Bit of an odd event next, a music festival with just us adding a bit of colour, and doing a bit of crowd control and odd jobs! see you soon!